With Russiagate and its accompanying sanctions consuming the media’s attention, there is one aspect of Russian-American trade relations that gets almost no attention from America’s mainstream media. In this posting, I will outline the background to America’s connection to the Russian oil business and the potential repercussions that face American oil refiners. I apologize in advance for the length of this posting but I want to supply my readers with all of the background necessary to make an educated appraisal of Washington’s current and future approach to sanctions against Russia. 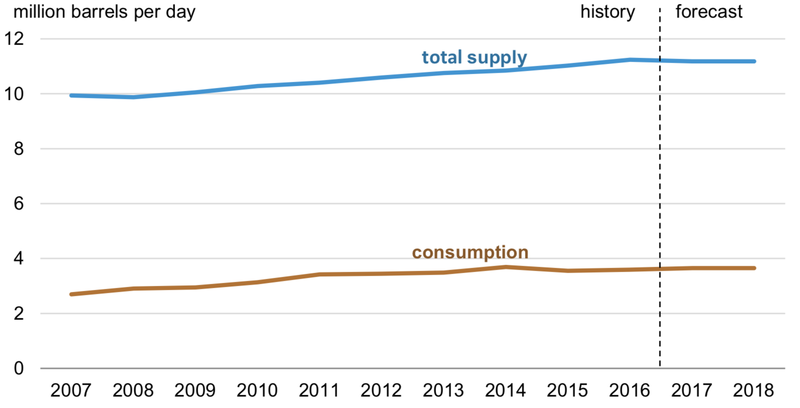 Despite America’s increasing reliance on its domestic reserves of non-conventional oil, it is interesting to note that the U.S. economy still relies on over 300 million barrels of oil per month to “grease the wheels of the free market”. 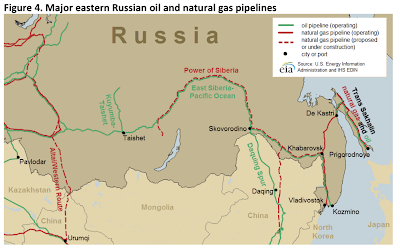 Let’s look at a bit of background regarding Russia’s oil reserves. According to the EIA, in 2016, Russia was the world’s largest producer of crude oil and the third largest producer of petroleum and other liquids after Saudi Arabia and the United States with average daily production of 11.2 million BOPD. Despite U.S. sanctions on Russia’s oil industry which include limiting Russian oil companies access to American capital markets and restrictions on sharing technology that would support Russia’s deep water, Arctic offshore and shale projects anywhere in the world, Russia has still been able to maintain its production levels and may indeed help Russia in the future should oil prices rise to levels last seen before 2014. In 2016, the Kozmino port exported 594,000 BOPD, the De Kastri port exported 230,000 BOPD and the Prigorodnoye port exported 180,000 BOPD. 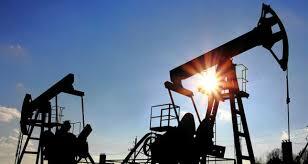 Each refinery is designed to use crude oils with different properties or a range of properties. 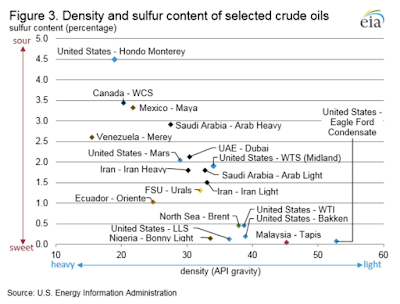 The EIA tracks the quality of crude oil imports that are processed in all refineries in the United States and API gravity varies from 11 degrees API (heavy oil) to 47.9 degrees API and sulphur content varies from 0 percent to 6.5 percent. Again, with that background, let’s look at recent developments. According to Resource Works, the Nordtulip oil tanker departed from the port of Vladivostok in eastern Russia on June 22, 2018 and arrived at Anacortes terminal located in the state of Washington on July 31, 2018, carrying an estimated 600,000 to 650,000 barrels of oil. Anacortes is the site of two refineries; one owned by Shell and the other by Andeavor. 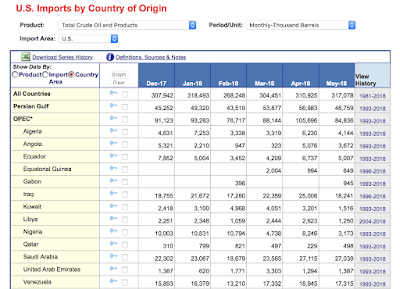 Interestingly, despite the rise of America’s presence at the global oil producer’s “head table”, the Pacific Northwest is a region relatively starved of oil given the decline in production from Alaska and the lack of pipelines to the lower 48 oil producing states. 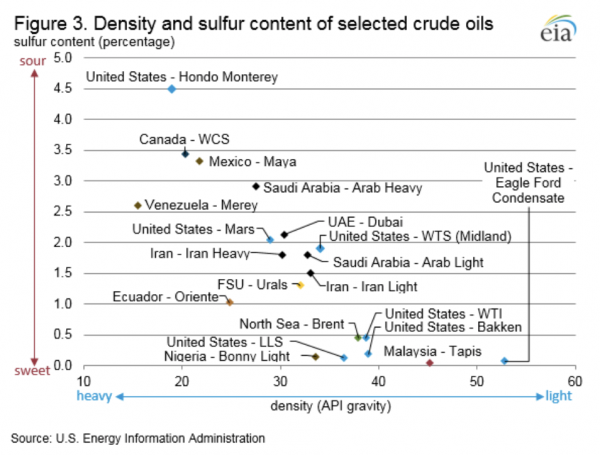 Keeping in mind the information regarding refineries and the specific feedstocks that they require, one can see how these two refineries in “hydrocarbon isolated” regions of the United States could be at risk if oil supplies were reduced, a scenario that would cause pain for consumers in the region. The key to this vulnerability is the imposition of yet another round of anti-Russia sanctions by Washington. According to a 1991 law, given that the U.S. State Department has notified Congress that Russia used chemical and/or biological weapons during the March 2018 poisoning of four people in the United Kingdom, this determination triggers a set of mandatory sanctions which, in their second round, could include cutting the importation of “petroleum or any petroleum product”. 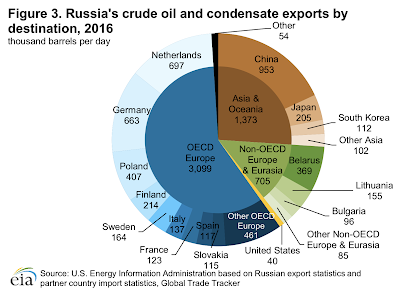 It is this aspect of the anti-Russia sanctions that could have a significant and unanticipated negative consequences on American consumers in the Pacific Northwest and other regions where refineries rely on Russian crude oil. In a rather unexpected turn of events, according to Reuters, the American oil industry is not particularly fond of the current anti-Russia sanctions. The oil industry is lobbying against tighter sanctions with Exxon Mobil being among the most vociferous anti-sanctions lobbyists. The American oil industry claims that U.S.-led sanctions unfairly penalize U.S. oil companies while allowing foreign energy companies like BP and Royal Dutch Shell to operate in the world’s largest hydrocarbon “playground”. As we can see from this posting, as is typical in Washington, there are a wide range of unanticipated consequences from its diplomatic actions. 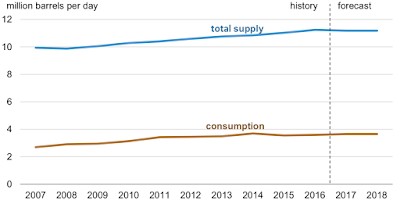 While Russia’s oil imports are not a substantial part of America’s overall energy needs at this point in time, the fact that much of America’s current surge in oil production is from reservoirs with an extremely high production decline rate could mean that in the coming years, American consumers may be more reliant on Russian oil imports than anticipated.